Fresh off the release of his 2015 collaboration, project “NOWHERE”, Bay area via South Central rapper, singer and visual artist Duckwrth is more than ready to release his new offering I’M UUGLY, an EP that merges the most unique parts of Duckwrth’s talents to create a sound and visual palette that indicates he has not only grown as an artist but is well on his way to being a music icon and visionary for this generation. 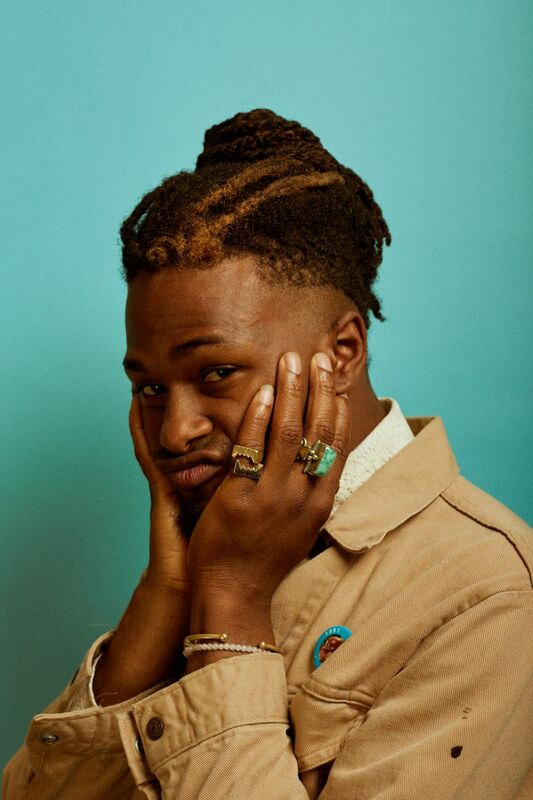 Duckwrth was first exposed through Teambackpack, the freestyle collective and network with Youtube videos that garnered over a million views, collectively. He went on to release a few indie projects including his 2015 collaboration titled ‘NOWHERE’. On that project, Duckwrth showed he wasn’t just unafraid to share the world as he sees it, but bold enough to create new ones. With songs that played on hip-hop clichés without ever coming off preachy while quickly becoming recognized for creating dynamic visual pieces that led to him creating artwork and branding for artist like Hodgy Beats, T. Mills and IAMSU! to name a few. His work has been featured in Wild and Artsy magazines and sold in galleries across California. His face and personal style can be seen in ad campaigns with major brands such as Levis and Facebook to niche brands like RarePanther and Japanese hipster line, Monkey Time. It is hard to imagine, this is only the beginning. With each release, it is abundantly clear that Duckwrth is growing not only as an artist but becoming a musician in his own right. I’M UUGLY combines the relentless lyrics and consistent story telling of his first release, Ducktape with the consciousness and social awareness of his 2nd release, TaxFree V1 and tops off with the high energy and crossover appeal of his last project “Nowhere”. He’s a rude boy skanking in the mosh pit, A musician who paints his music in primary colors; the man who made a song about strippers and called it “Unagi”. Duckwrth born Jared Lee, in both his persona and his music, defies easy categorization. If you can’t catch him hovering three feet above the ground in the Bay Area or on his skateboard weaving through the traffic of a busy New York City street, you can certainly catch him this summer on tour with Anderson .Paak & The Free Nationals. Look out for ‘I’M UUGLY releasing late summer 2016.